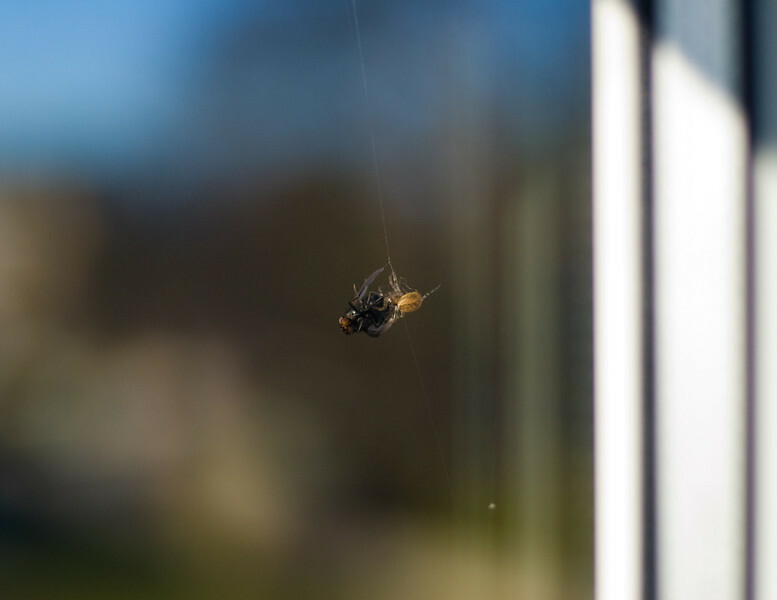 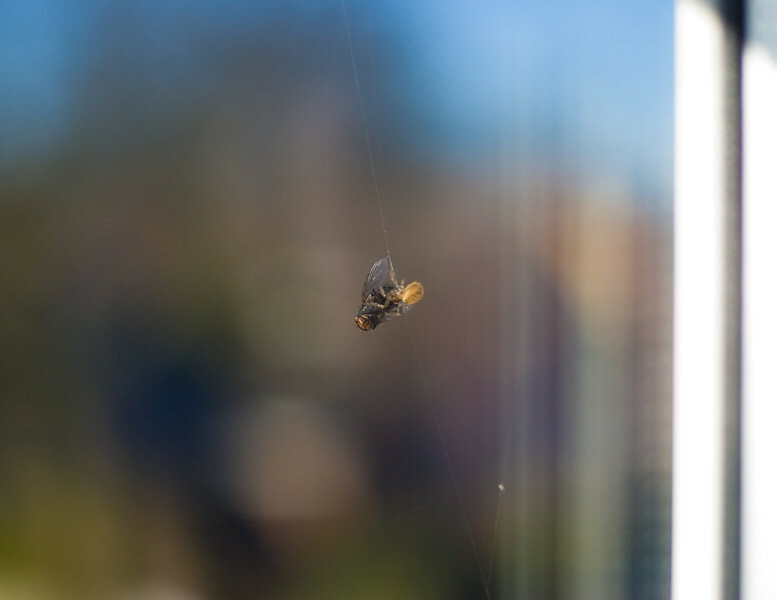 The other afternoon, Claire and I had the wonderful joy of seeing what happens when a fly doesn't watch where he's going and encounters a rather hungry spider and his web. 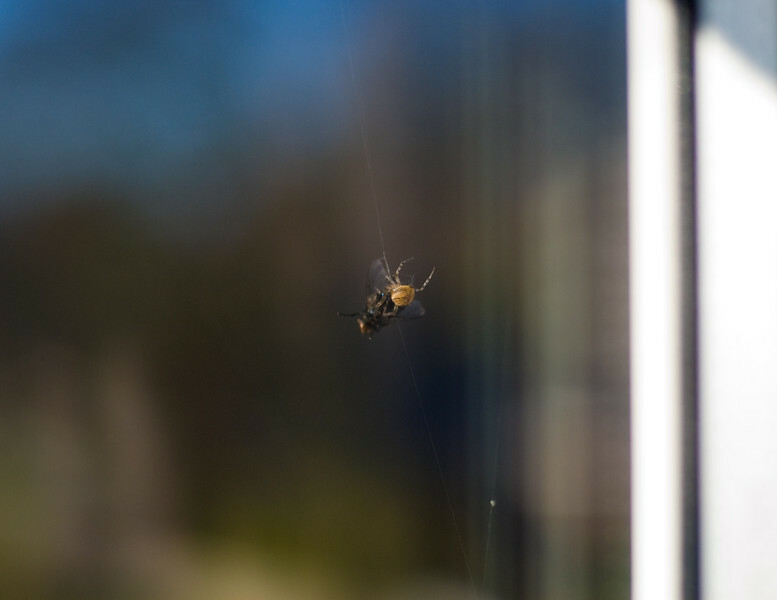 Nature is pretty amazing and it was quite interesting to watch the spider at work as the fly flailed about trying to escape. 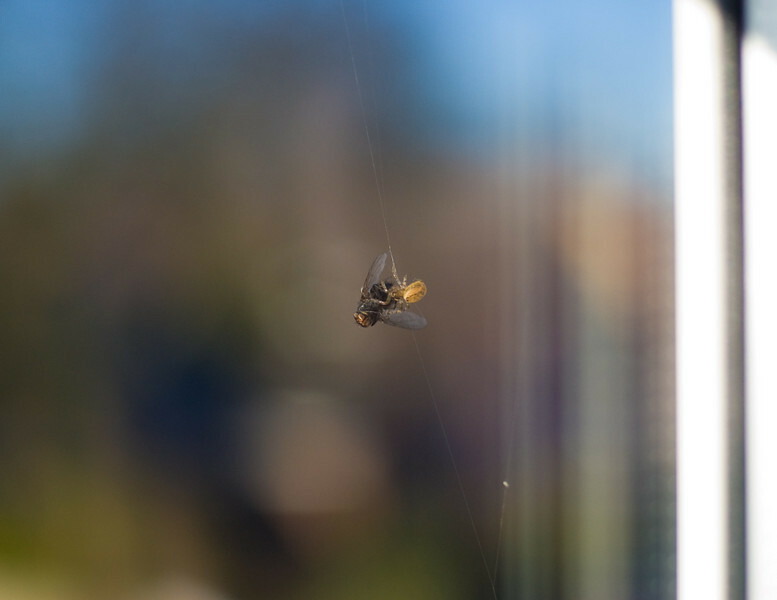 We didn't hang around to see the final product, but they're not outside the window anymore so I can only assume the spider took home the fly for the whole family to share.